If you’ve been injured on the job you want to guarantee that you’re awarded all of the benefits you’re eligible to receive. The Workplace Safety and Insurance Board assists those who have been hurt while on the job, but filing a claim requires reams of paperwork, meeting strict deadlines and proving medical treatment. In Ontario, the WSIB evaluates and verifies each claim that is submitted by an employee. The employee has sixth months from the date of the incident to file and the board goes on to evaluate and decide whether or not they merit payments. It’s important to have a steadfast legal representative to manage your case and file an appeal if you are denied the first time. Experienced attorneys are much more likely to win payments than claimants who represent themselves. Any condition sustained on the job can keep you from earning an income and you cannot afford to gamble on your hearing. If your claim is denied for any reason, hire a legal team that will work hard for you and keep you informed of your options. Any kind of harm can be financially devastating and physically debilitating. The last thing you want to worry about is how healthcare needs like prescriptions and rehabilitation therapies are going to be paid. OHIP does not cover physiotherapy costs for everyone, and many working adults are on the hook for their own therapy. An experienced attorney will lift a burden off your shoulders and allow you to focus on healing. The process can be stressful and confusing; it’s imperative to have a workplace injury lawyer that can guide you through each step and fight for your benefits. If your claim is denied, it’s not too late to appeal. 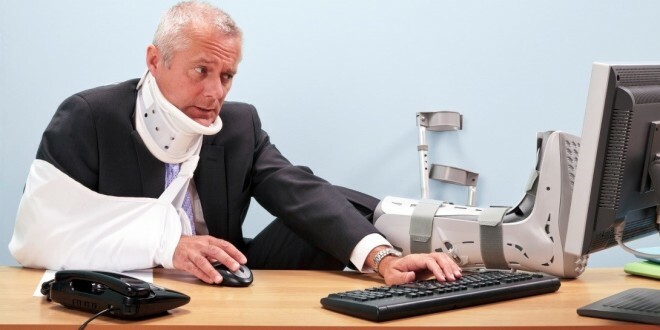 A workplace injury lawyer will file your appeal and ready you for your hearing. Since the WSIB has strict guidelines for times of submittal, you have to be sure that your claim is turned in and handled in a timely manner. Not all decisions are granted the same amount of time for an appeal, and you may have only 30 days to file. Make sure you’re aware of all of the benefits you qualify for, as there are many. In addition to benefits covering loss of earnings and healthcare, you could be eligible for compensation regarding non-economic loss, future income loss, retirement and services for ongoing conditions. If you have lost a loved one to a workplace accident, you can also consider survivor benefits. Finding an experienced attorney can be difficult, especially one that appreciates the urgency of your case. A credible firm with an experienced and educated staff can help you get the relief that you need. Some firms such as Goodman Law Group hire licensed paralegals formerly employed by the board. They understand the criteria by which the board evaluates cases and how they decide. Ontario is the only jurisdiction in North America where paralegals are educated, examined and licensed law practitioners. If you’re unsure whether your case needs legal representation, you can file an online consultation form and hear back from WSIB lawyers like Goodman Law Group for free. A consultation is often the first step in approaching any legal firm. It’s also your chance to find the advocate that takes your interests to heart. Visit Goodmanlawgroup.ca/our-difference.php and research the qualities of experienced workplace injury lawyers. You don’t expect it to happen to you; that’s why it’s called an accident. When it does, fight with experience and knowledge on your side.